GEORGETOWN, Guyana, Jan 15, CMC – Chief Justice Roxane George-Wiltshire Tuesday said she intends to give a ruling by the end of this month regarding the three matters challenging the validity of last month’s motion of no confidence that led to the downfall of the David Granger coalition government. “A decision will be ready before the end of this month ” she said, noting also that she is unlikely to grant a conservatory order for the President and Cabinet to remain in office due to the time frames. “We are going to push ahead” and decide on those “matters as urgently as possible” because “the nation is awaiting the outcome of these matters,” she added. On December 21st last year, then government backbencher, Charrandass Persaud, voted in support of a motion filed by Opposition Leader Bharrat Jagdeo that gave the main opposition People’s Progressive Party (PPP) the 33 votes needed to ensure the success of the motion in the 65-member National Assembly. As a result, the PPP is calling for fresh regional and presidential elections by March this year, while the government has gone to court challenging the validity of the vote. 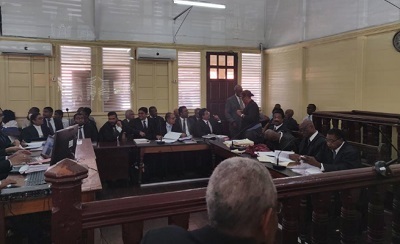 On Tuesday, the Chief Justice heard the case management for the cases “Compton Reid vs The Attorney General, Persaud and The Speaker of the National Assembly; Christopher Ram vs The Attorney General and Speaker of the National Assembly and the Attorney General vs The Speaker of the National Assembly and the Opposition Leader. She has given the lawyers in all three matters to file their pleadings and make their submissions by January 18 while rebuttals have been listed to take place by January 21. Oral arguments have been set for January 24 in all of the matters. However, the attorney representing Ram will make his oral submissions on January 23. Attorney General, Basil William’s was granted permission to make submissions in two of the three cases that Article 70 of the Guyana Constitution provides for the government to run its full five year term in office. During the hearing, a senior official of the coalition A Partnership for National Unity (APNU) government, Joseph Harmon was given the green light to join the Compton Reid matter. He is being represented by Attorney Roysdale Forde. Williams told reporters that although the timelines that have been set out are “tight”, he intends to proceed with his submissions and arguments. 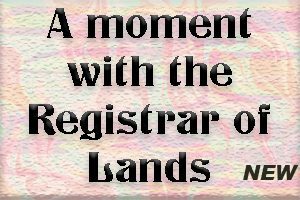 He said the government maintains its position that the motion was not passed by a majority in the 65 member Parliament. But attorney Anil Nandlall, who is the lead attorney for Jagdeo, said he is also ready to proceed. He said the government has it wrong and the motion was carried by a majority of 33 votes and will make that point during his oral submissions. London Overground - minor delays between Sydenham and Crystal Palace / West Croydon following a late finish of engineering work. Good Service on other London Overground routes.